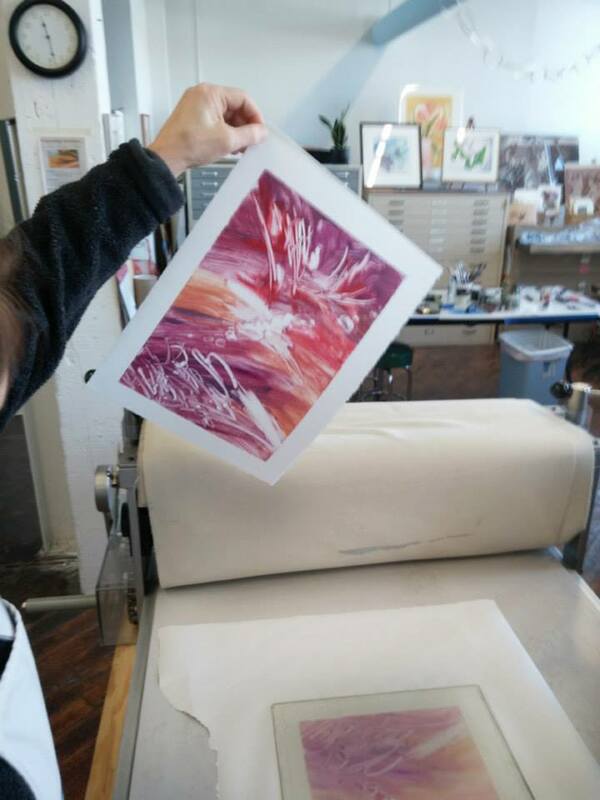 Instructed by Marilyn McPheron, this class begins with a demo, and then participants may creatively experiment as far as their imaginations may take them before printing their own works. Using stencils, lace, cardboard cutouts, paper doilies, flattened metal odds-and-ends, string, vegetable netting and an array of interesting flat, house-hold items, class-goes will create a series of similar but unique prints using Speedball water-soluble printing ink. Most participants will complete around 6 to 9 prints (two or three series of three prints each). The end result is essentially a mystery, as you will not know exactly what will appear until the paper is pulled from the plate after it is pressed.This workshop is limited to 6 participants, so grab a seat ASAP! Also instructed by Marilyn McPheron, Signature Bookbinding serves to teach participants how to sew two “signature” based books and how to attach the covers. The first book will be an open spine sketch book with a total of 48 usable pages. Each signature, a total of 4, within the “text block” will be a different type of drawing paper. This first book, which the finished size is to be about 9 x 12 inches, will be book board covered in paper and decorative tapes. The second book, more like a journal, will have a rounded, soft spine covered with book cloth. Although it will be smaller in size, the second book will contain the same amount of signatures/pages. Document your very own expressions within a sketch book or journal you created yourself!This course is also limited to 6 participants, so act fast! Signature Bookbinding will take place on Saturday, April 11 from 9 AM to 2 PM. Fee: $65 (includes all materials). Click here to find out more about Phoenix Rising and other great workshops offered by the organization!